About 70% of all buyers conduct research online before calling the provider or filling out a web form. 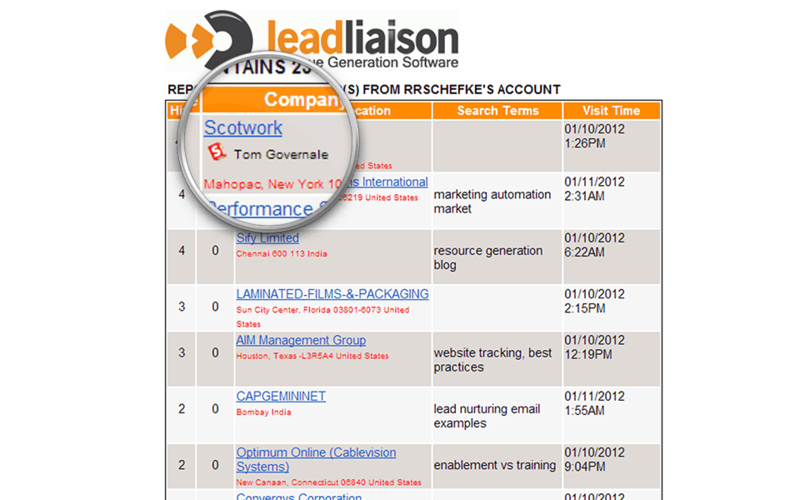 Find out whose looking by tracking prospects progress and interaction in real time before they contact sales. See which businesses are live on your site at any point in time. Unlike other static solutions, you’ll know who’s looking and when they’re looking. A multitude of information is collected on visitors including company, geolocation, original lead source, referrer, time spent on the site and much more. Customize the real-time visitor dashboard with a few clicks with our smart interface. Setup various filters to narrow down visitor traffic based on criteria that is important to you. 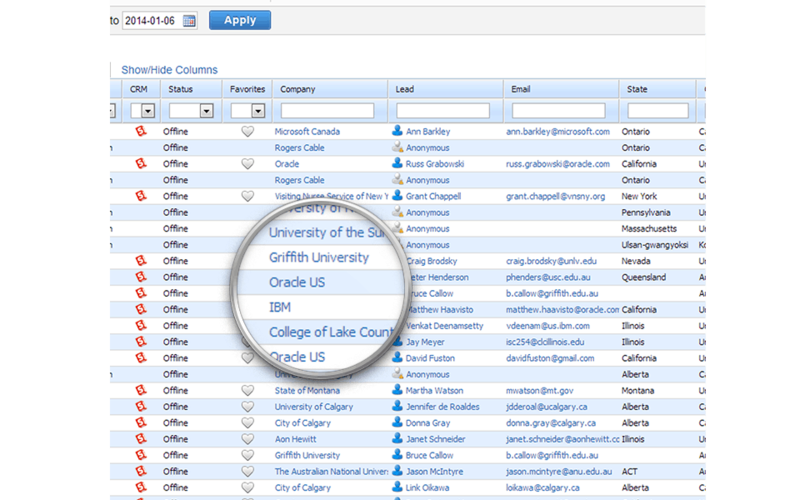 Optionally add business intelligence information from Dun & Bradstreet to get more intelligence (revenue, industry, etc.) on your visitors. Filter out ISPs to see pure business traffic. If an ISP slips through, report it to Lead Liaison and we’ll tune the filter. 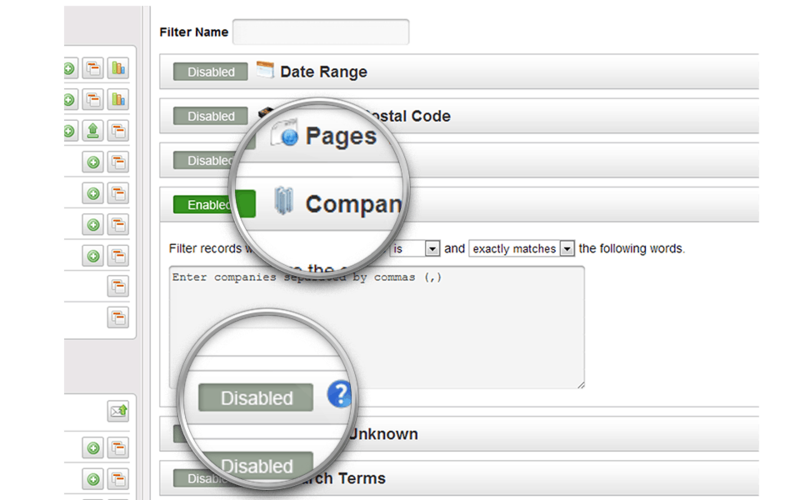 Using filters, sales people can setup unique filters for their regions. The filters also feed into our desktop visitor tracking solution, called Streamer. Are you a major account manager and only want to see website traffic for you accounts? Setup a filter. Are you a marketing person and only want to see your pay-per click visitors? Setup a filter. Are you a territory manager and cover certain countries or states. Well, no problem – setup a filter. Our unique visitor tracking desktop application, called Streamer displays visitor traffic using a software program on your PC. Run Streamer in two different modes, like a stock ticker where visitors stream across the bottom of your computer monitor or like an instant messaging program – such as Skype or Google Hangouts. Anytime a visitor comes to your website that also meets your filter criteria a popup is displayed above your computer’s system tray. There’s nothing like waking up in the morning, grabbing your cup of coffee and seeing an email in your inbox that spoon feeds new leads. 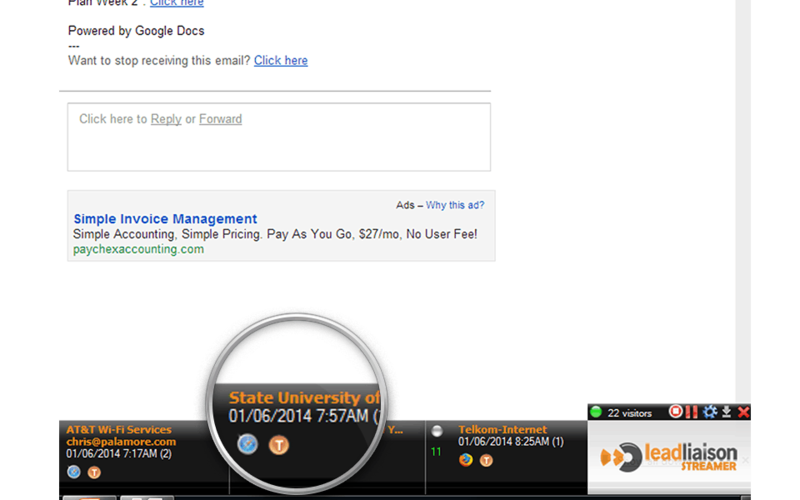 The daily visitor report is an email report send every morning of all website visitors meeting specified criteria. 96% of all website visitor traffic is hidden, the other 4% fill out a form to be contacted. We uncover the 96% of hidden visitors and present these opportunities to the sales team as a fresh stream of new leads.